Through the years, we’ve seen many live action adaptation of popular Disney films, including Cinderella, Beauty & The Beast, Peter Pan and The Jungle Book. But it doesn’t end there, as we’re expected to see the return of Mulan, Aladdin, The Lion King, Lady & The Tramp, and more. In fact, we wouldn’t be surprised if we see a live action Frozen film in the near future. While we’re not saying all of these adaptations are bad (some are harmless, at least) and we don’t want to be too cynical about upcoming films, but we really can’t help but think – are live action remakes really all that necessary? The latest to the ongoing (and seemingly never-ending) list of remakes is the new upcoming film “Mowgli”, which, as you can probably tell, is based on the story of The Jungle Book. However, what is it that sticks out so much about this one? Well, last time we checked, there was already a live action film of The Jungle Book back in 2016. Here’s the trailer for Mowlgi, in case you’re curious. Maybe you may have missed the 2016 film. Judging by the trailer, it’s certainly does seem like a more serious version on the story, than most live action adaptations tend to become in the end. This sometimes works, but in all honestly, why can’t we just go back to the days of Baloo singing about the bare necessities? Or better yet, just leave Disney films alone all together? Disney and their bank manager would probably disagree. What we know about ‘Mowgli‘ so far is that it is directed by Andy Serkis (who will also star as Baloo) and stars Christian Bale as Bagheera, plus Benedict Cumberbatch, Cate Blanchett, as well as Rohan Chand as Mowgli. Whilst it will obviously be a new take on the tale, it’s still pretty much the same story. This time though, don’t expect much fun or lightheartedness that we sometimes got from the original animated classic. Yes, you have been warned, this is the serious Mowgli. Let’s look back at The Jungle Book (2016) for a moment. The film was well received and grossed $967 million worldwide from a $176 million budget, and was also successful with critics, who praised its visual effects, performances, music, and also in staying true to its source material (which was vital!). The point is, after the film’s success, it ended (or really, should have) the franchise on a good note. So it begs the question once again – why is there another one coming out? It must be money signs spinning in someone’s eyes, we presume. 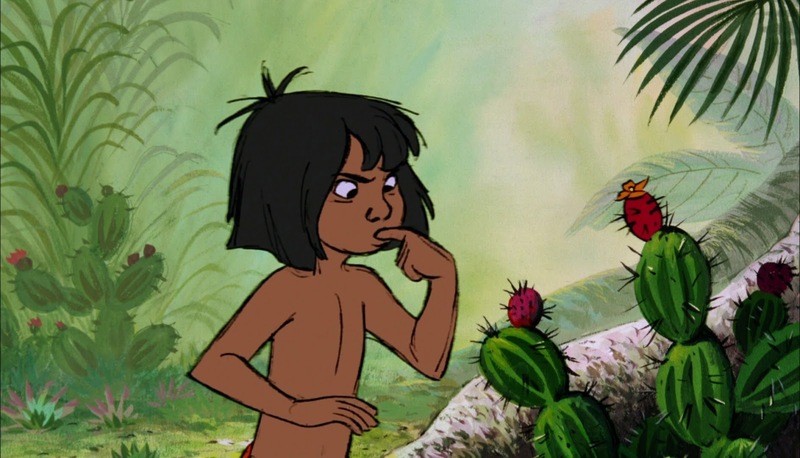 So, those are the reasons why the new Mowgli film isn’t necessary. To put it simply, it’s too soon after the first live action remake. The 2016 adaptation was more than enough, and there’s really not much point to it (other than for it to look more “dark” and “edgy”). Obviously, we can’t judge it too much though, as the visuals in particular do look good, so we might be pleasantly surprised if and when we see this. But for now, we don’t really think another Jungle Book is needed. Let’s just stick to the bare necessities for now, alright?